What character attributes are important to you? Which ones do you think you have? What do you think it's important for others to have? 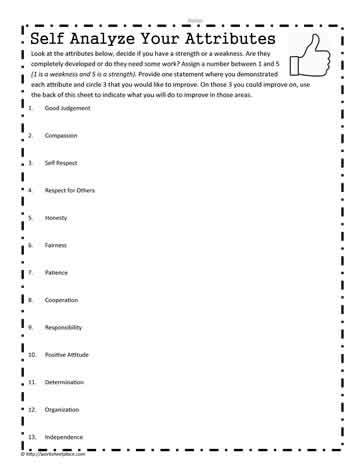 This character worksheet helps you think about the attributes you have and what is important to you.